Explore the beauty of Earth, the only place in the universe where life is known to exist. From the deep blue oceans to the aurora of the shimmering atmosphere, admire the detail of our wondrous planet against the expanse of space. Planet Earth Screen Saver renders spectacular views of our planet as seen from space. High-resolution imagery delivers a detailed and accurate representation of the planet's surface with a 2 Kilometer/pixel resolution. In addition to the texture maps, high resolution height maps provide you with an even greater level of detail by revealing level changes in the Earth's surface. Physically based modeling of the atmosphere provides an unparalleled realistic look of Earth's atmosphere. See how the color of sunlight scatters as it travels through the atmosphere. A fantastically realistic 3D model of the planet! It is a fantastically realistic 3D model. Decorate your screen with fascinating views of Planet Earth. This screensaver makes you see the beautiful Earth just like astronaut. Earth 3D Screensaver is a realistic 3D globe model. A screensaver showing interesting scenes of mother earth. It's free to download. Enjoy view from outer space with Virtual Earth Screensaver! Animated 3D. Turn your monitor into a realistic space shuttle window! Give you the opportunity to see how beautiful our planet is! Enjoy the abstract beauty of our planet. Screensaver with over forty vivid satellite photos of earth. Enjoy vivid satellite photos of our planet. 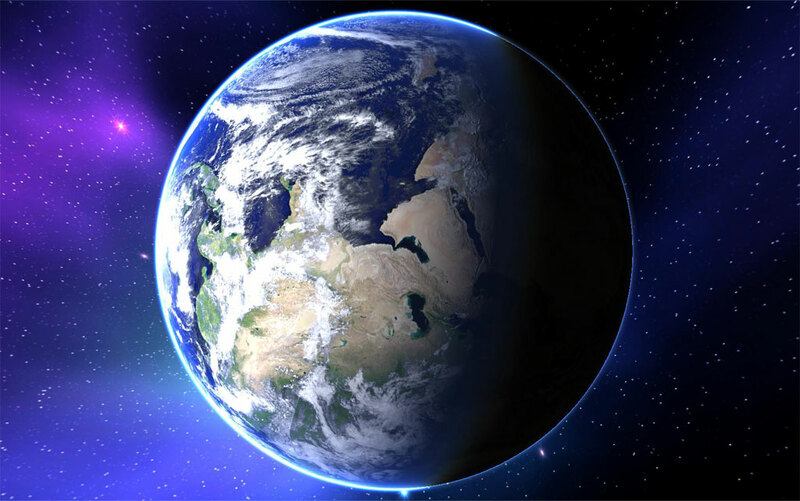 The Earth from Cosmos Screensaver shows images of our planet. Qweas is providing links to Planet Earth Screen Saver 2.1 as a courtesy, and makes no representations regarding Planet Earth Screen Saver or any other applications or any information related thereto. Any questions, complaints or claims regarding this application Planet Earth Screen Saver 2.1 must be directed to the appropriate software vendor. You may click the publisher link of Planet Earth Screen Saver on the top of this page to get more details about the vendor.